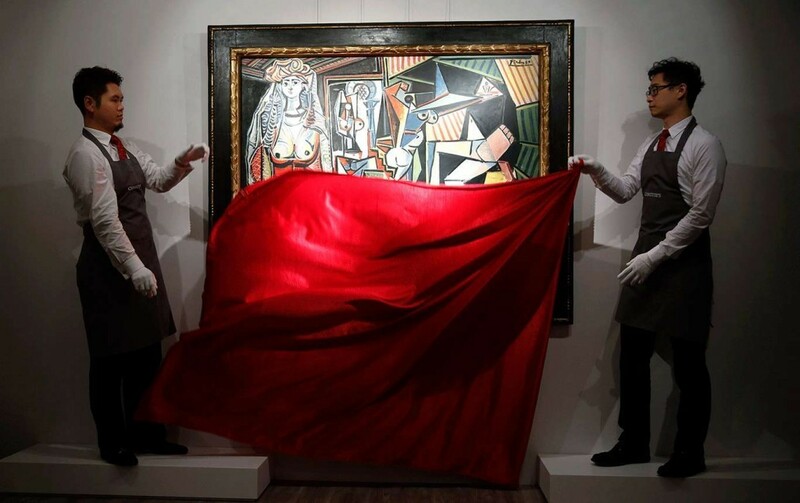 Christie's made auction history on this Tuesday morning when Pablo Picasso's Les Femmes d'algar sold for $160 million, making it the most expensive painting ever sold at auction. 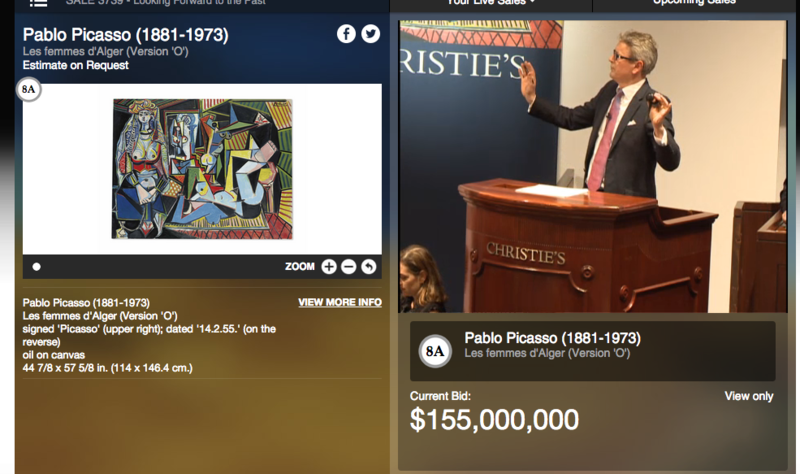 At 01.30 AM this morning, Christie's had re-written history when Pablo Picasso's Les Femmes d'algar sold for an incredible $160 million, ($179 million including fees.) After a long bidding could auctioneer Jussi Pylkkänen finally thanked the bidders and the sustained audience for their patience before the final hammer. 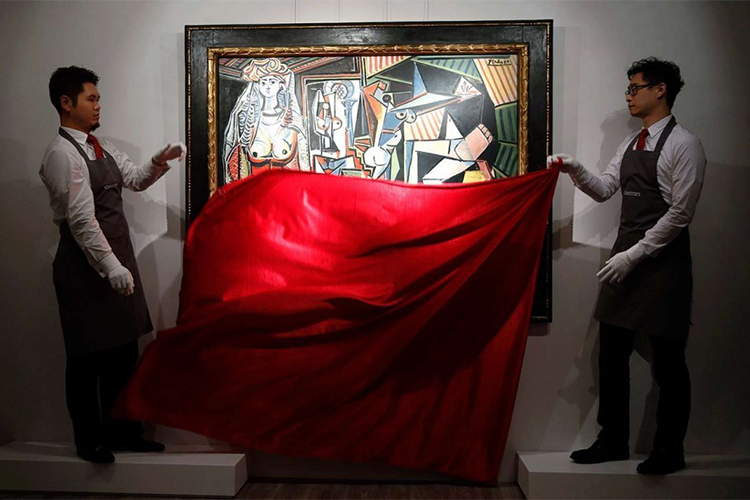 Les Femmes d'algar is considered one of Picasso's most important paintings and was expected to fetch a higher price than the previous record set when Francis Bacon's triptych Three Studies of Lucian Freud, was sold at Christie's auction in New York for $142.4 million dollars in 2013. Pablo Picasso painted 15 variations of Les Femmes d'Alger, which inspired by the French master Eugene Delacroix. The ambitious project was a tribute to his friend Henri Matisse, who died in 1954. The present painting was the fifteenth and final version. It took Picasso over two months and more than 100 studies to complete the piece.